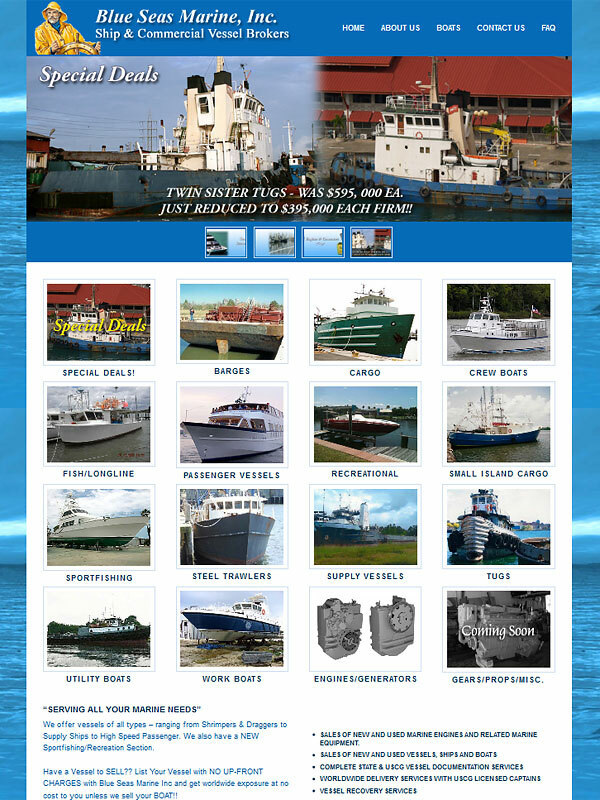 N-Sync Computer Services is proud to announce the recent launch of the completely redesigned website for Blue Seas Marine Inc., www.blueseasmarineinc.com. Blue Seas Marine Inc. is based in Port Canaveral, Florida but has worldwide reach in the marine industry. Click the link above to visit our client and feel free to drop them a line about their new site. This colorful, user-friendly site provides an easy to use, searchable database of marine vessels available for sale around the world. 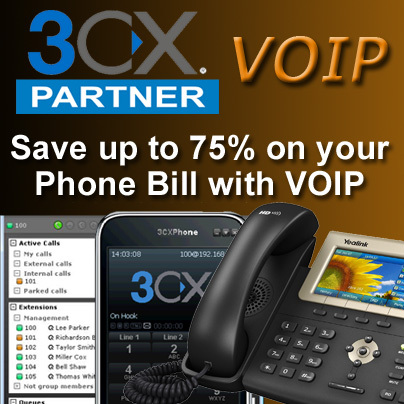 Many categories are listed and include a special deals section for special prices. “Blue Seas Marine Inc. is a family owned and operated business and our Brokers have been licensed by the State Of Florida as Yacht/Ship Brokers since 1978. Our associates consists mostly USCG Licensed Captains who have worked in almost every facet of the marine industry since the late 1960’s. Blue Seas Marine brokerage firm is a complete yacht and ship brokerage , We specialize in Commercial Vessels from Oil Field Supply and Tankers and Anchor Handling Support vessels to High Speed Passenger, Cruise Ships, RORO’S , Shrimpers , Longliners, Trawlers , Party Boats ,Crew Boats, Utility Boats, Tugs, Barges and everything in between. With our worldwide reach and contacts combined with our experience crew we will find the vessel that meets or exceeds your needs , We can complete all the paperwork including the purchase and sales agreements , the USCG Documentation process , flag deletions , as well as MOST important provide a safe and secure escrow account to protect the buyer’s funds throughout the process. 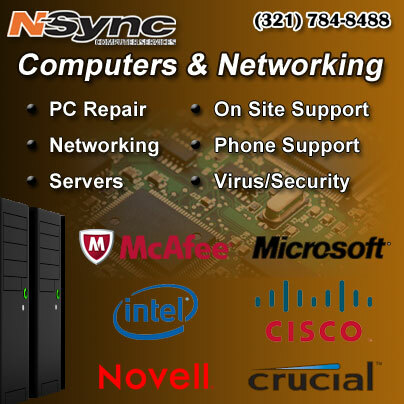 N-Sync Computers is proud of our relationship with Blue Seas Marine and is excited for them in their new website release. 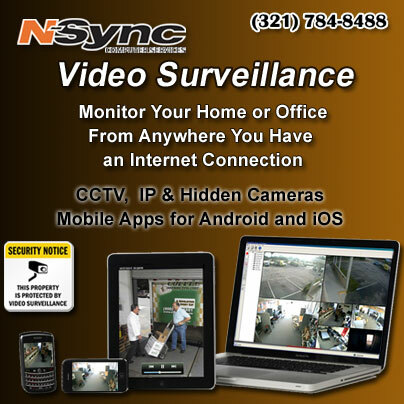 Please take a second to check them out, and keep them in mind if they can earn your business. 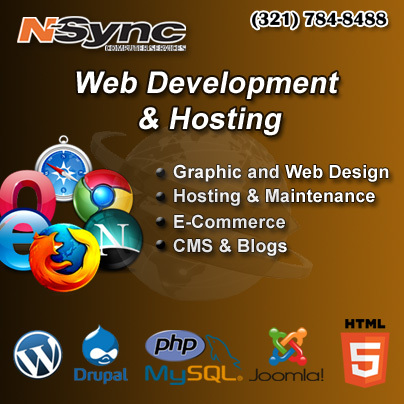 If you are looking for a new website ,website hosting or just updates to your existing site, contact N-Sync at (321) 784-8488 x 302.